A complete, research-backed guide to safe and effective use of apple cider vinegar for acne. Aggressive medicated acne treatments are effective, but in most cases they are completely unnecessary and very expensive. The more heavily medicated the product is, the higher your risk of side effects. That’s exactly why so many people turn to very natural products that have limited side effects but are still highly effective. Among celebrities there has been huge praise for Apple Cider Vinegar. Scarlett Johansson and Hilary Duff have been the most vocal and praise it for all sorts of health benefits including skin. The reason you probably haven’t heard much of it as an acne treatment is that it’s inexpensive and available in any good grocery store. You don’t need to look for highly marketed products or spend hours researching bottles in drug stores. Basically, there isn’t much money involved in it, but that makes it even more interesting. Because of this there are also no major clinical studies, which is why so many people just blatantly dismiss its effectiveness. But that should make it even more appealing if you’re looking for something natural that won’t break the bank. On this page you’ll find out exactly what the theory is behind it, and which brands are the best to consider for their natural purity. 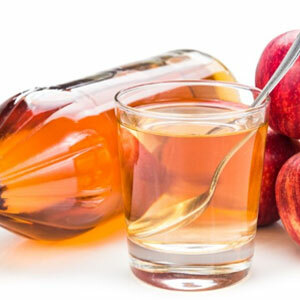 For the best action against acne, you need a raw, organic apple cider vinegar that is unfiltered and unpasteurized and contains the naturally occurring “mother” of vinegar – the strand like enzymes of connected protein molecules. And Bragg’s Raw Organic Apple Cider Vinegar is the most reputable and effective product that fulfills all these requirements. Only use organic apple cider vinegar for treating acne. Rice or white vinegar won’t do the trick. What studies tell us about the effectiveness of apple cider vinegar for acne. Which is the best ACV for acne treatment. 10 outstanding ways apple cider vinegar can be used to treat acne. 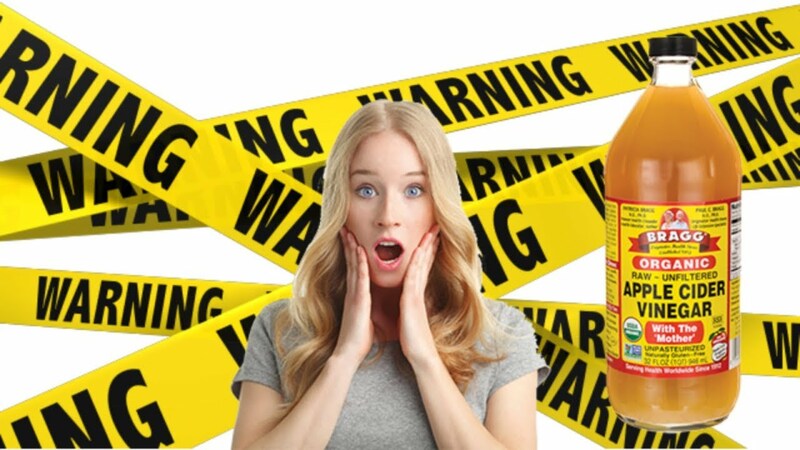 The dark side of ACV, and all the safety precautions you must take in account when dealing with apple cider vinegar. In the first process, the added yeast converts natural sugar of apple juice into alcohol. Next, acetobacter (an acetic acid bacteria) converts alcohol into vinegar. Being derived from apple juice, it’s evident that it might contain essential nutrients like vitamins B1, B2, B5, B6; niacin, folic acid, and vitamin C that make it healthy. The usage of apple cider vinegar dates back to 400 B.C. when Hippocrates, the founder of Modern Medicine, supposedly recommended its usage for constipation, fever, freedom of breathing, as an anti-biotic agent, and for other general health concerns [source]. Ancient Egyptians used it for losing weight – may be the reason why several proponents, during diet craze of 1970s, believed that a combination of apple cider vinegar, vitamin B6, kelp, and lecithin (a fatty substance isolated from egg yolk) could trick our body’s metabolism to burn fat faster. However, all of these and many other proclaimed health benefits of ACV are either traditional, theoretical, or supported by limited research. Apple cider vinegar’s usage for skin care purposes does seem to have some rationale behind it. Essentially, apple cider vinegar is an apple extract. It contains more amount of malic acid than apple itself. Malic acid is what brings a sour, tart taste in your jam, sherbet, wine, and many other fruits and vegetables. Being a member of fruit acid family i.e. 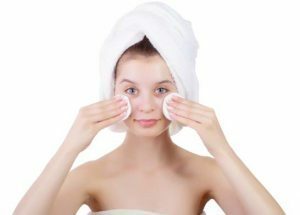 Alpha-Hydroxy Acids (AHAs), you’ll find it in your shampoos, nail treatments, cleansers, moisturizers, and a variety of acne and other skin care products. It’s unavoidable. But why is it so prevalent? Read on. Malic acid present in apple cider vinegar is proven for its ability to improve complexion and smooth skin texture. It helps formation of collagen, which is a protein responsible for building and repairing cells. This property of malic acid is of tremendous value as the production of collagen naturally slows down as you age. 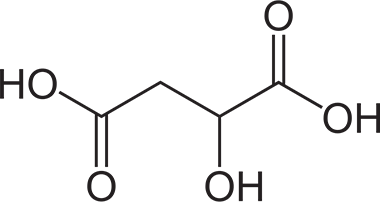 And that is why, malic acid is a primary component of many anti-aging products. Because of the presence of malic acid, apple cider vinegar possesses keratolytic properties. It will prevent your pores from getting clogged by breaking the bond between dead skin cells. It will allow your skin to breath and balance its pH levels. It will help preventing excessive dryness, oiliness, and bacterial growth on your skin, which will all contribute in reducing your acne. A study conducted by the University of Massachusetts Medical School has confirmed that there exists an inflammatory skin disorder called Pityrosporum folliculitis that’s commonly misunderstood as acne, but it is actually not. 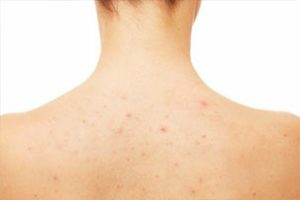 The blemishes caused by Pityrosporum folliculitis are usually deep, inflamed, itchy papulopustules that can victimize your face, your upper trunk area including back, arms, chest, and sometimes neck. But the problem is that you can develop Pityrosporum folliculitis and acne at the same time, which makes it increasingly hard to differentiate them. 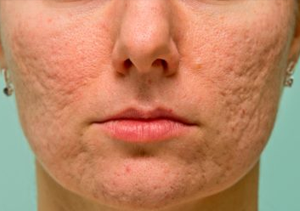 Fortunately, there are some clues to identify these acne-like­ blemishes. 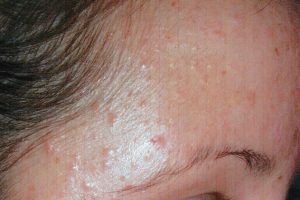 Firstly, it is highly unlikely that these blemishes and true acne will develop at the same place. So there you have it. If there’s an area on your face or body where acne seems absolutely adamant – where nothing like anti-biotics, AHAs, Retinoids, and a host of other over-the-counter products have ever worked – you may realize it’s actually Pityrosporum folliculitis you’re dealing with, and not acne. But how can apple cider vinegar can help this acne-like disorder? If you look a few sentences back to the statement I’ve shared from researchers at Massachusetts Medical School, they’ve said these blemishes respond dramatically to anti-fungal therapy. And research has proven apple cider vinegar to possess anti-fungal properties. So this is another rational reason why apple cider vinegar can help treating your acne. Or, to be more accurate, it can help treating acne-like blemishes that don’t seem to respond to conventional acne treatments. Following are the most effective ways to make use of apple cider vinegar for acne treatment. Go ahead and try them. But make sure to read the safety section of this post before using apple cider vinegar in any form on your skin. This is one of the most effective apple cider vinegar recipes included in this post. We’re not only using the soothing, anti-inflammatory properties of green tea that is jam packed with anti-oxidants to fight harmful free radicals to smoothen and clear up your skin, but we’re also adding the eminent skin friendly properties of honey into it to make it an absolute nightmare for acne. The added sugar will act as a natural exfoliant to unclog your skin pores and help break the scar tissues. 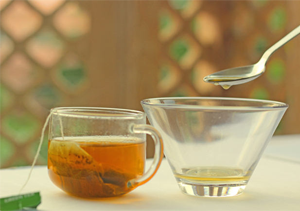 What you will need: Green tea (cooled down), raw honey, bragg’s apple cider vinegar, and sugar. Add 1 tablespoon of raw apple cider vinegar in a cup or small bowl. Add 2 tablespoons of green tea that you’ve just cooled down. Now add 1 tablespoon raw organic honey. Next, add 5 tablespoons sugar and stir the mixture vigorously. By now, you should have a smooth, slightly thick paste. Use a cotton swab to apple this mask on your face. Gently massage it on your face. It will help shedding dead skin cells and improve blood circulation. Leave this mask on your face for 10-15 minutes before rinsing off with water. Applying this wonderful mask once in a will effectively help getting rid of your acne. Baking soda is a multitasking wonder residing quietly inside your kitchen. Not only is it a primary component for various cooking recipes, but it can also be used to gain a number of health and beauty benefits. It is a good natural anti-bacterial agent that can effectively cope with your blackheads or whiteheads, brighten up your skin, and even out complexion. What you will need: Apple cider vinegar and baking soda. 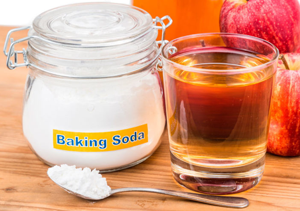 Mix 2 tablespoons of diluted raw apple cider vinegar with 2 tablespoons of baking soda in a cup. Mix this mixture well to make a smooth paste. Apply this paste as a facial mask on your skin. If it’s the first time you’re using ACV, apply it only on your affected areas. Let this mask sit for at least 15 minutes. Pat your face dry and apply a good quality moisturizer. Repeat this process at least once in a week for noticeable results. We’ve all had it. And I know it’s horribly daunting to have acne on your scalp. Not because it makes you look awful, but because of the irritation and pain it brings. 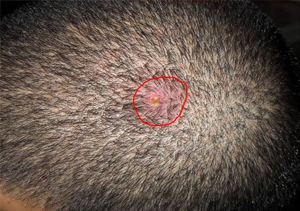 Although, not anyway different than acne on any other part of your face or body, scalp acne can be harder to treat because the hair gets in the way. So how would you treat it? This remedy has got you covered. What you will need: ACV and your regular shampoo. First, shampoo your hair to make it clean. Preferably, with something like these acne fighting shampoos. Add a couple of ounces of apple cider vinegar to a bowl full of water. Mix well. Now, pour this water through your hair and continue rinsing well while doing so. Do not dry out your hair by yourself. Let the water evaporate naturally. You’ll need to do this treatment 4-5 times to get considerable results. But do it no more than once a week. Well, listen. Acne scars rarely respond quickly to home remedies. Even intense treatments such as topical retinoids require a lot of time to fade acne scars. And this remedy is no exception. So you should have this in mind when going for it. This is not to discourage from trying it. The mindset of being persistent is essential for successful treatment of acne scars. What you will need: apple cider vinegar, honey. Fill a cup less than half with water and add a tablespoon of apple cider vinegar. Add a trifle amount of honey in it and mix well. Use a cotton swab to apple this mixture directly on your scars. Wait for 20 minutes before rinsing it off with water. As always. Just one session won’t do the trick. 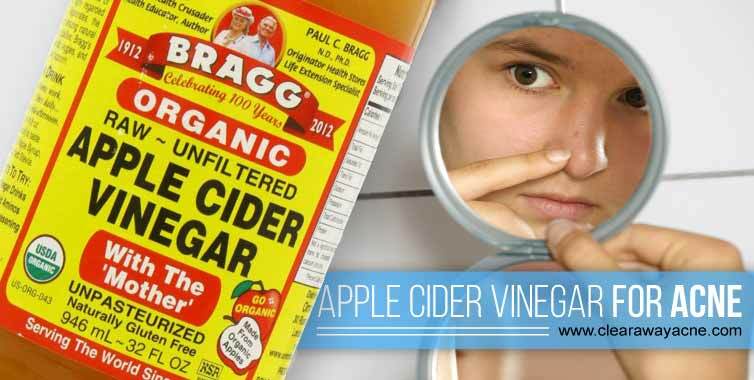 This is the simplest way to directly use apple cider vinegar for acne. If you want to use apple cider vinegar without combining with anything else, this is how you should proceed. What you will need: ACV and your regular cleanser and moisturizer. Mix equal parts of raw, organic and unpasteurized apple cider vinegar and water in a cup or bowl. If your skin is sensitive, mix one part of ACV with three parts of water. Gently wash your face with your cleanser to clear it of any residing dirt. Stir the mixture well, then soak a cotton swab in it and apply it directly to your affected areas. Although, it’s effective to leave it overnight, you shouldn’t let it sit more than 20 minutes if your skin is sensitive, or you experience even slight burning or irritation. Afterwards, rinse off your face with room-temperature water. Now, apply a moisturizer (non comedogenic) to prevent your skin from getting dried. Multiple sessions are required to get the most out of this method. Hippocrates recommended this combination for a host of digestive and respiratory disorders. 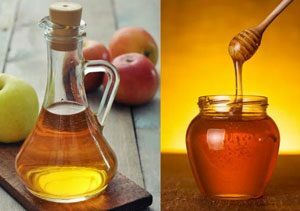 The addition of natural anti-bacterial, anti-fungal, and anti-septic properties of honey to apple cider vinegar can help cure several skin disorders including eczema, premature aging, and of course, acne. There are two methods for exploiting this couple. This method is particularly effective for acne. We’re essentially utilizing the astringent properties of apple cider vinegar to get rid of excess of oil after we’ve used natural anti-bacterial properties of raw honey to fight acne causing bacteria on your skin. What you will need: Your regular cleanser and moisturizer, boiled water, honey, and apple cider vinegar. Cleanse your face gently with your regular cleanser. Massage it in circular motion to boost blood circulation, and clear your skin pores of unwanted dirt and bacteria. Now, it’s time to steam your face to open up your skin pores. Pour boiled water into a bowl. Drape a towel around your head and place your face over the bowl to take steam for 2-3 minutes. Make sure to keep a tolerable distance, or you’ll burn your skin. Once you’ve done that, take two tablespoons of honey and apply it all over your face. Gently rub honey on your skin. Leave it for 20 minutes before rinsing off with lukewarm water. Now, pat dry your face. Do not rub. Take organic apple cider vinegar diluted with equal parts of water. Soak a cotton swab in it and apple to your acne spots directly. Leave it for at least 15 minutes. Wash off your face afterwards and apply a good moisturizer to avoid excessive dryness. This method is an all round cure for many ailments including arthritis, obesity, food poisoning, aging, bad breath, high blood pressure, high cholesterol, heat exhaustion, acne and eczema. What you will need: Water, ACV, and honey. Mix half tablespoon of both apple cider vinegar and raw honey. Now dissolve this mixture in a glass full of water. Stir well. Have this drink twice daily to get steady results. Drinking apple cider vinegar as a drink not only helps removing toxicities and impurities from your bloodstream, but it also helps clear your skin. What you will need: Water, ACV. 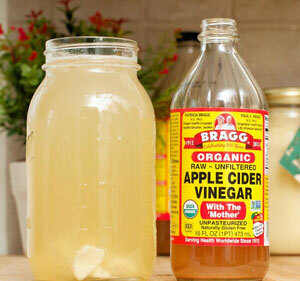 Mix 2 tablespoons of apple cider vinegar in a glass full of water. Stir well and drink this drink twice a day for maximum results. Here’s another highly effective cleanser for acne made from a combination of apple cider vinegar and aloe vera gel. What you will need: ACV, aloe vera gel. Take equal parts of water and apple cider vinegar in a cup or bowl. Dissolve some aloe vera gel in it. Use a cotton bud to apply this solution to your affected areas. What you will need: Witch hazel or aloe vera gel, ACV, water. Dilute equal amounts of water and ACV in a cup. Add 5-10 drops of witch hazel or aloe vera gel in it. Use a cotton bud to apply this solution directly on your back acne. If you can’t do it yourself, have your friend or spouse apply it for you. Repeat this method daily to get steady results. Back acne is more stubborn than any other form of acne. So, you have to be patient with this remedy if you’re serious about eliminating your back acne. Soak a cotton swab in apple cider vinegar diluted in equal amount of water. Now, apply ACV on the back of your ear through it and leave it overnight. If you notice burning or stinginess on your skin, that’s red alert. If nothing happens, and you think your skin can tolerate it, you’re good to go. Only apply it on your dark acne spots and not all over your face. Never use it undiluted. Mix 3-5 parts of water with 1 part of ACV. Don’t let it sit on your skin more than 5-10 minutes – specially, when your skin is sensitive. When your skin gradually starts to tolerate ACV, you can increase its concentration for better effects. You can also prolong its application bit by bit if you wish. Many leave it overnight and get extraordinary results. But I’d neither do it myself, nor recommend you. Use a good quality moisturizer to avoid your skin getting excessively dried. A better option is to use coconut or jojoba oil – they’re chemical free, and more effective and delicate than any other synthetic moisturizer. Using ACV isn’t all rainbows and butterflies. It can bring you chemical burns, almost instantly if your skin is sensitive. 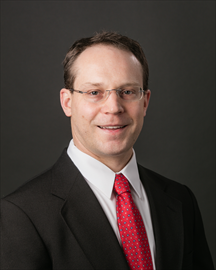 Dr. Christopher G. Bunick of Yale University, in his study published in JAAD, shared the story of an 8 year old boy who had to suffer from chemical burn through the topical usage of ACV. 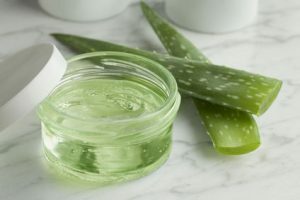 The boy’s mother wanted to cure multiple lesions of mollusca contagiosa (a viral skin infection, also called water warts) on his left leg by applying apple cider vinegar. But the result was terrible for both mother and the son. A girl had the same frustration when she used ACV on her forehead. So how do you effectively cope with this situation? Let me tell. It is certainly possible to avoid or at least control the chemical burns caused by ACV. Firstly, if you go through all the safety measures I’ve shared earlier in this section, it’s highly unlikely that you’ll damage your skin. Secondly, majority of the people I’ve seen complaining about ACV have a sensitive skin. If that’s your case, just leave it off. There are dozens of other effective home remedies for acne you can try. Don’t panic if you still confront with a chemical burn from ACV after taking in account all these precautions. The best option in this situation is to apply vitamin E oil to soothe your skin. If it’s not available, applying 100% aloe vera gel on affected areas is equally effective. It’ll take a week or two based on the severity of your burn until your skin turns normal again. 10 highly effective anti-acne apple cider vinegar recipes. 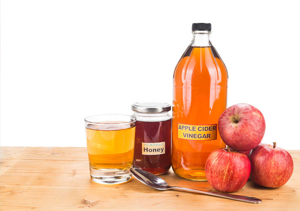 All the safety information you need before and after applying apple cider vinegar on your skin. This is the first time I will be using this treatment. Make sure to follow all the safety protocols and let me know how it goes. And here are some good options for tackling your facial hair. I have pityrosporum folliculitus and will be trying ACV tonight. This skin condition is awful and absolutely a beast to treat since it is actually a fungus. Thanks for the insight.